The information surrounding collagen is overwhelming. Its popularity has led to a surge of articles, facts, opinions, and myths. We scoured the internet and conferred with experts. Here’s a deep dive into collagen that contains basically everything you need to know in bite-sized morsels of truth. People speculate collagen comes from the Greek word for glue, “kolla”, because it holds your tissues together, but there’s a stronger bond. Over 8,000 years ago, a collagen-based adhesive was used in Israel to form a waterproof seal in rope baskets and other containers. The Egyptians used their own collagen-derived glue as a binder in paintings. Native Americans used it approximately 1,500 years ago when making bows. What this means is collagen has been used to make glue (see also: the hooves of horses). So this is likely the real root of “collagen”. According to Dr. Suzan Obagi, a board member of the American Board of Cosmetic Surgery, your ability to produce collagen drops about 1% per year starting in your mid-20s. Scared a little bit? Think of taking care of your skin like saving for retirement: start early and invest wisely. The perfect way to do this is to find more ways to get collagen into your diet. Besides age, there are external factors that can work against healthy skin. Collagen can be damaged by high sugar and refined carb consumption, UV (too much sun), and smoking. The bonds between collagen and intersecting tissues become weak and visually apparent. If you needed a reason to quit any of those, there’s another one. Type I collagen fibers are stronger than steel (on a 1:1 scale)! This strength comparison is based on tensile strength, or how much resistance something has to breaking. If you’ve seen a superhero movie or a horror flick and watched a cable slowly pop, break, and untwist until there’s only a single strand left, you’ve seen steel being stressed beyond its tensile strength. Different types of collagen have different purposes. Type II is not nearly as strong as Type I, but it’d be terrible for your knees if it was. Type II collagen helps cushion your joints like your knees, so you can only imagine how it would feel to have tough, Type I collagen in there. Hint: not good. The collagen you get from bone broth, is actually gelatin. Don’t worry though, it’ll still give you the benefits of collagen. Gelatin is just the cooked version. It absorbs better than regular collagen because cooking helps break down collagen into smaller pieces. You’ll get less nutrients from powdered gelatin, but it’s perfect for making gummies, certain desserts, and as a sauce thickener. Yum! 7. Sick of shakes? Try this. You already know what you can do with gelatin (#6). But did you know you can bake and cook with collagen peptides? It’s true. They have a high heat tolerance, so they can stand up to just about anything you can dish out. Plus, they mix super easy. Collagen forms the matrix of your bones. Think of it like the frame of a house. Minerals then attach themselves to the collagen matrix (the frame) to help build strong bones. If you’ve ever put a chicken bone in vinegar and it turned into “rubber”, you’ve seen the flexible, collagen matrix. If you haven’t, give it a shot by cleaning a chicken bone and submerging it vinegar for 3 days. It’s a great experiment for kids to try! Collagen is primarily made of 3 amino acids: glycine, proline, and hydroxyproline. However, each collagen chain has over 1,400 amino acids! That makes for one HUGE molecule. 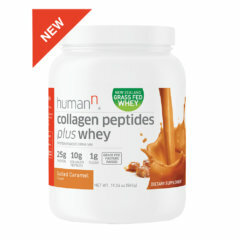 As a result, it can be difficult to digest and use, so it’s best to supplement with low molecular weight collagen peptides. They’re just smaller, broken down bits of collagen that your body can put to use easier. There are 3 different names for these smaller forms of collagen: hydrolyzed collagen, collagen peptides, and collagen hydrolysate. What’s the difference? Absolutely nothing. They’re all just AKAs. No matter which one you choose, they’re all broken by a process involving water and enzymes so you can absorb it easier (and put it to use). Maggie Michalczyk, R.D.N, reminds us vitamin C is necessary to produce collagen. Not having enough of it can halt collagen formation. If you put carrots in your bone broth, you might have enough vitamin C. Just to be on the safe side, squeeze a lemon in your broth. Not only will it taste better, you’ll also be providing a necessary component (vitamin C) to help you produce collagen in your body. You should be taking vitamin C along with any collagen supplement you take. Higher quality collagen products will already contain vitamin C.
12. Don’t mix coffee and collagen! This likely comes as a surprise because so many people advocate taking coffee and collagen together. But coffee has negative effects on collagen production. It can cause you to deplete your levels of vitamin C. It’s easy enough to just take more vitamin C, but there’s another issue. In a study, it was shown that caffeine inhibits collagen synthesis. 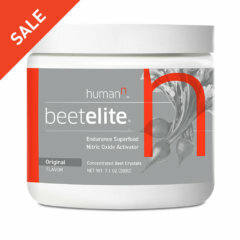 It won’t completely eliminate collagen production. However, it can significantly impact the amount of collagen you need to get the same benefits as a person who doesn’t take it with their coffee. It’s important to ask yourself if convenience is more important than getting the most out of your collagen. 13. How many types of collagen do you need? There are at least 16 types of collagen! Many sources say there are 28. That said, Types I, II, and III make up about 90% of the collagen in your body. With only 10% to split between at least 13 different types, do you really need Types IV – XVI+? Probably not. See the next fun fact. There’s a myth plastered everywhere that you get benefits that correlate to the type of collagen you take. For example, Type I collagen is for your skin and Type II will go straight to your joints. But that’s not entirely accurate. Collagen is made of amino acids. When you ingest any type of collagen, it’s broken down in your body to amino acids so your body can use it. Remember building towers of cardboard bricks when you were a kid? You’d build it high, knock them down and build them back up again. But the tower wasn’t always in the same spot and definitely not in the same order—and you might even decide to make several towers. Collagen works the same way. Your body knocks down the tower of collagen, picks up the bricks (amino acids), and places them wherever they’re needed. Your body might even put the bricks in a bunch of different towers. Dr. Li, M.D., director and division chief at the UCLA Center for Human Nutrition explains amino acids from collagen are distributed to where your body decides is best. For example, Type I, predominantly known for its skin benefits, might have its amino acids become part of cartilage, some go to muscle fibers, and others to tendons. Some places you might not expect collagen to be: your teeth, cornea of your eye, blood vessels, and digestive tract. Yes, collagen is pretty much everywhere in the body. 16. Is there vegan collagen? There is no vegan source of collagen. So why don’t vegans all have terrible skin and creaky joints? 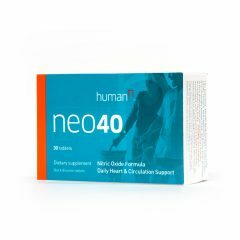 They have to make sure they get all the building blocks of collagen: high quality protein sources, vitamin A, vitamin C, copper, and several more key nutrients. This is possible with a varied diet, so vegans don’t necessarily have to check off a list of nutrients every day to ensure they have everything they need to make collagen. 17. What about vegetarian collagen? It depends on your view. Strict vegetarians don’t eat anything animal-related. Lacto-ovo vegetarians make exceptions for animal products like eggs and dairy products. Collagen exists in eggshell membranes, but that would require eating far too many to be worth it. While egg whites and dairy products don’t contain collagen, they do have amino acids that can help your body produce collagen. Again, a varied diet with an emphasis on protein and vitamin C will work best. Collagen is component of your gut lining. Getting high quality sources of collagen can help support your gut health. 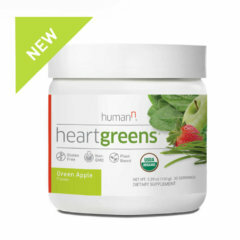 High quality collagen is virtually flavorless and odorless. 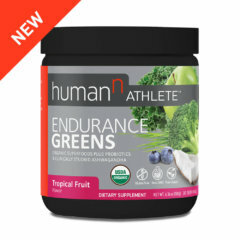 This makes it perfect to add to any shake or drink. 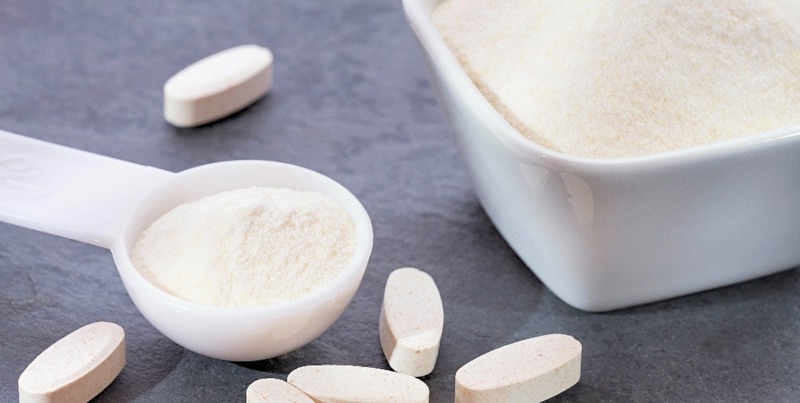 Flavored versions of collagen are a perfect way to add some variety to your collagen routine. Just be sure you’re mindful of the sugar content because it can have a negative effect on your collagen. Poor quality collagen will have a noticeably “off” and slightly salty taste. As a result, you not only won’t want to take it consistently, your absorption rate of collagen will also decrease. Collagen is easily one of the most amazing substances in the human body. It’s in so many different areas (skin, joints, eyes, etc). Even though it has the same base structure, it manages to modify itself just enough to perfectly fit wherever it’s needed. 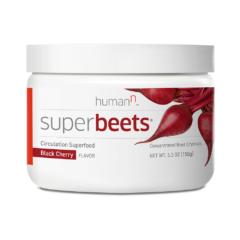 If you’re ready for a high quality collagen supplement, SuperBeets Collagen contains premium quality collagen peptides and is the perfect way to provide structural support for healthy skin. Find out more here.